Have been making these since the seventies, when my dear friend Lyn gave the recipe to me. Sweet and savoury at the same time; delicious cut in half and toasted. Preheat oven to 400F. Butter a 12 muffin muffin tin. In a medium bowl, thoroughly combine dry ingredients with a whisk. Set aside. In a large bowl, whisk the wet ingredients together until smooth and uniform. Fold the dry ingredients into the wet ingredients, adding the cheddar cheese about half way through mixing. Do not over mix. Beat together oil/butter, apple sauce and egg. In another bowl, whisk together the flour, baking powder and spices. Add the wet ingredients to the flour mixture, and stir gently. Add the fruit and nuts and stir to combine. Don’t overmix! Sppon into a well greased muffin pan or an 8” x 8” square pan. Bake at 375F for 20 minutes for muffins, 25-30 minutes for squares, until firm to the touch. 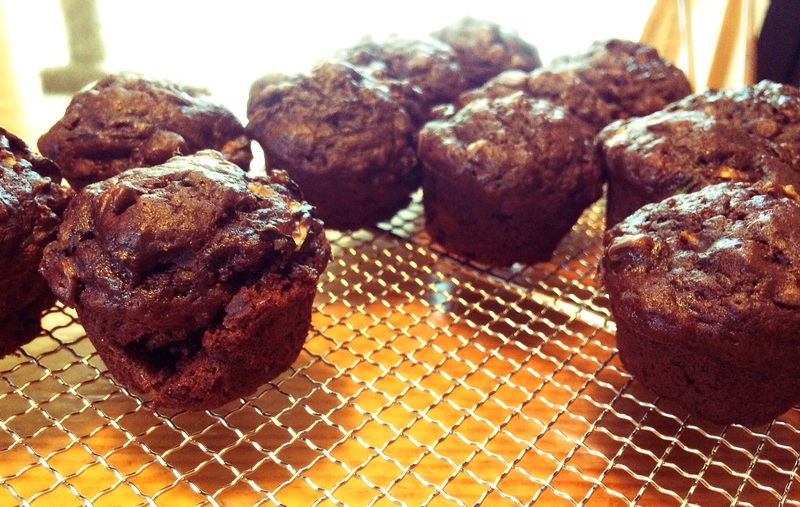 Not as “textured” as the other banana muffin recipe, yet still nutritious. Prepare a muffin tin with paper liners, or grease with oil or butter. In a large bowl, whisk together flour, brown sugar, baking soda, and baking powder. Whirl the oats in a blender or food processor until they reach the consistency of cornmeal. Whisk oats into the dry ingredients. In another large bowl, thoroughly mix together the eggs, bananas, oil, and yogurt. Gently fold the wet ingredients into the dry ingredients, along with the chocolate chips. Do not over mix! 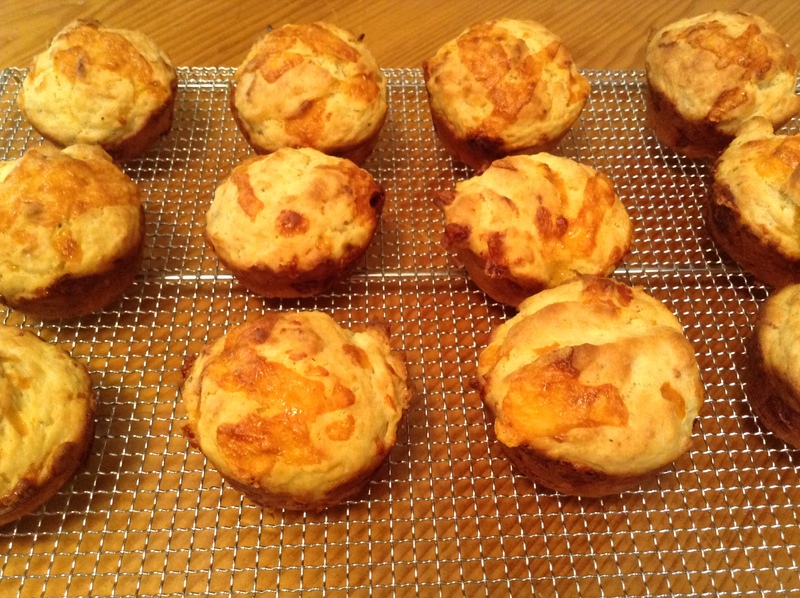 Spoon the batter into the muffin tin, and bake for 20 to 25 minutes, until a toothpick inserted into the centre of a muffin comes out clean and dry. Cool in the tin for minutes, then finish cooling on a rack. Makes 11 to 12 regular sized muffins.